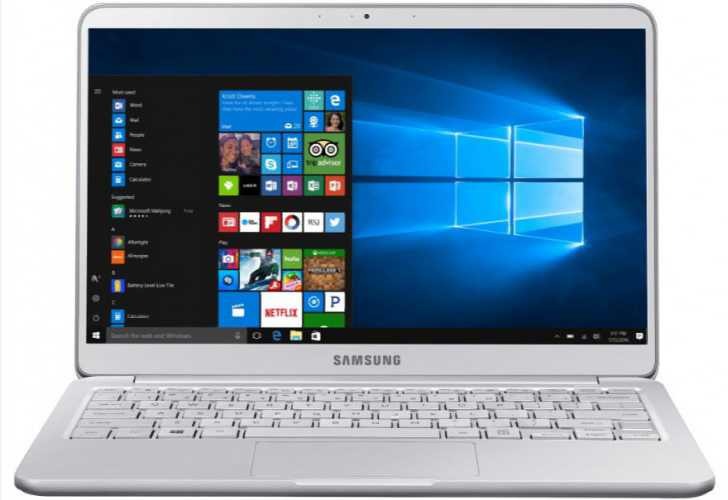 Samsung has announced two new refreshed Notebook 9 series 15-inch and 13.3-inch laptops. The latest Notebook 9 laptops from Samsung are very slick and slim, with almost bezelless, nearly edge-to-edge displays. According to the company, its Micro Arc Oxidation (MAO) Rigidity technology brings improved structural integrity, thermal and shock resistance. Both laptop screens come in FullHD resolution with 95% sRGB coverage, 178 degree viewing angles. There is also a special outdoor brightness boost mode of 500 nits. The 15-inch laptop body measure 347.9 X 229.4 X 14.9mm and 309.4 X 208 X 13.9mm on the 13-inch one, with 984g and 817g weight respectively. The new Samsung Notebook 9 series laptops are powered by 7th generation Intel Core-i7 processors. You will get 7 hours of battery backup with the 30 Wh battery. You will also get 8GB or 16GB of DDR4 RAM options with the smaller one has a 256 GB SATA 3 SSD out of the box, while the 15-inch gets a faster PCIe, NVMe 256GB SSD. The laptops also feature Bluetooth 4.1, two 1.5W speakers and liberal I/O, a USB Type-C port, dual-band Wi-Fi AC, full-sized HDMI, and a mircoSD card reader. Windows 10 Home edition will come with the laptop. There is still no word on pricing or availability.